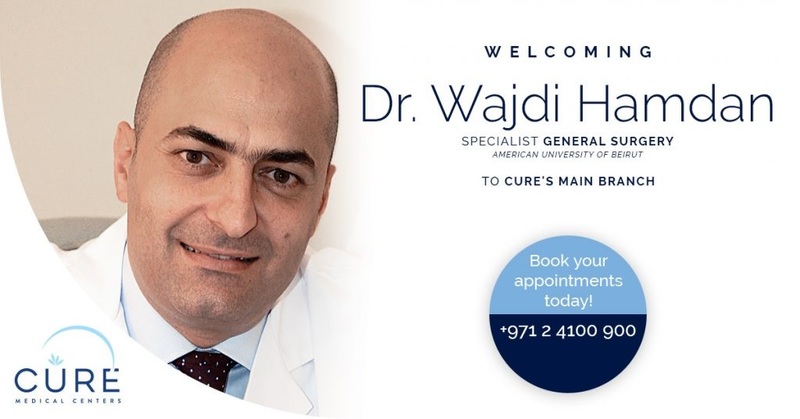 Cure is glad to welcome Dr. Wajdi Hamdan, Specialist General Surgery, to its main branch from 9 – 11 February. Dr. Hamdan’s areas of expertise include general Surgical Procedures in specific Advanced Laparoscopy for the treatment of Abdominal Wall Hernias, Gastro-esophageal Reflux Disease, Morbid Obesity, Colorectal Surgery, Splenectomy. Call us now to book your appointment on 02 4100900!